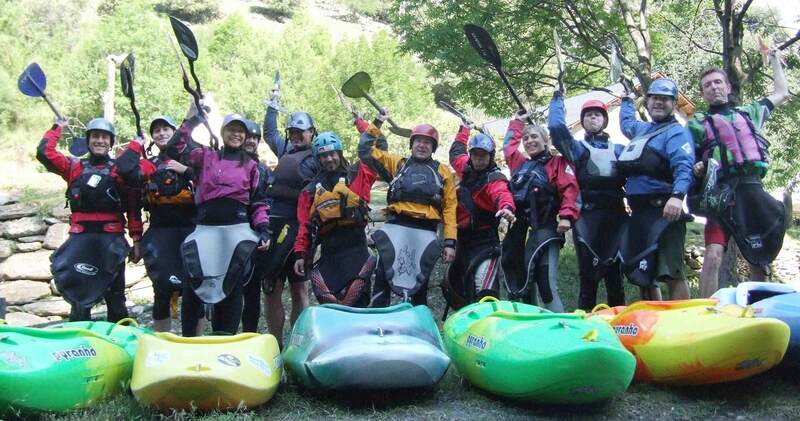 The idea of PaddleinSpain came out in 2007 by Lluis Rabaneda, a kayaker since the age of 12 and currently the owner of an Outdoor water sport complex (ROCROI), also the official distributor of recognized brands such as Dagger, Robson, Jackson kayaks, Hiko, Kokatat, Werner and more. He was also the organizer of the 2001 Freestyle World Championships in Sort-Spain and many other freestyle and kayak events. Lluis have been paddling in many rivers all over the world in countries from the 5 continents as Morrocco, Costa Rica, USA, Canada, New Zealand, Australia, Vietnam, Spain, France, UK, Germany, Austria, Switzerland,… For its travelling experience PADDLEINSPAIN.COM was one of his dreams to make an easy platform for paddlers around the world to come and paddle his home waters!! However in 2011 a new member came on board and took the project to create and own a new strategy: Judith Perxés, (LINKEDIN) from Barcelona (Catalonia). Passionate of travelling and a Nature lover and since she finish her studies (degree of Tourism on the University of BCN) she was also attending and improving her knowledge in Marketing and Tourism studies at Borough University . She was very keen to work and improve her skills on travel industry, working in Hotel business, tour operators, Travel agencies and ending in one of the best and biggest Outdoor and Adventure company located on the Pyrenees (Northern Spain). After a few years Paddleinspain (2015) became a proper travel Agency (DMC) and that was the push out to create new tailored programs, customized packages, and join more services around the main experience. We say that we are a big family because in our group and behind our awesome project there is more of 35 local guides in Spain on each area we work offering outstanding quality and personalize service to all paddling lovers, to the travellers looking for something different and to all companies, organisations, international schools that plan their new getaway, incentive, or simply vacation to Spain. See you on your next adventure trip! I will be your personal Travel Planner, Let me know how can I attend you?